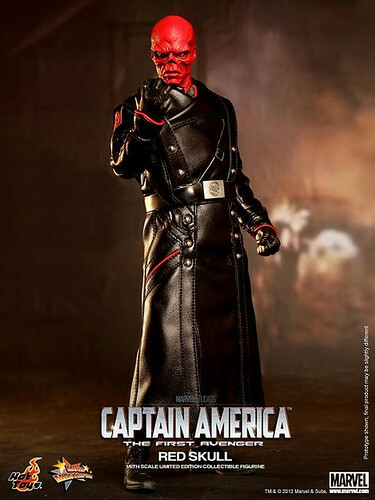 One of the items I'm most looking forward to adding to my collection this year is the Red Skull 12" Figure from Hot Toys, and this item is now up for pre-order at Sideshow Collectibles! Click through on the Sideshow banner above this post to check out this great piece. If you follow the link from one of these images, you'll also be supporting AFB with any purchases you make! Hot Toys really does make some seriously cool stuff! I really want to own at lest one thing from them someday. I was never convinced by this version of the skull.